Calcium, strontium, barium, Ra228 and Ra226 were measured in tissues of the Brazil nut tree from different areas; ammonium acetate extracts of the underlying soil were also examined. The concentrations of radium found in the leaves and fruit were higher than had been previously reported, the highest values (up to 6600 Pc Ra226/kg) occurring in the endosperm; the soils, however, did not contain abnormally high levels of radioactivity. Strontium and barium also accumulated in the endosperm, and the ratios of all the heavy alkaline earth ions to calcium in this tissue were 20 times higher than in some stem tissues. 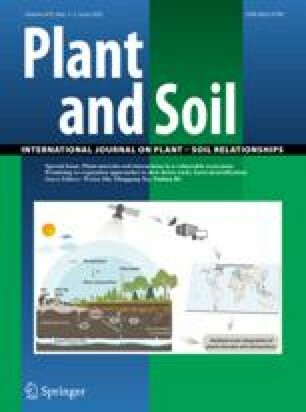 Evidence is presented that the time taken for the transfer of the heavy alkaline earths from roots to shoots was very short compared with the age of the trees. Specific chelation of these ions is suggested as a possible explanation of the abnormally high concentrations occurring in the fruit.